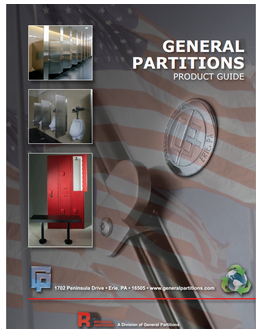 General Partitions - Partitions Plus Inc.
General’s Powder Coated galvanized-Bonderized Steel is available in all styles for toilet partitions, showers, and dressing compartments. 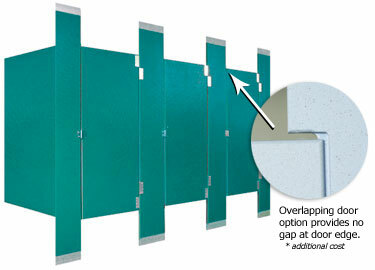 The exclusive use of galvanized-bonderized steel provides additional protection while enhancing paint adhesion. The finish is a superior quality powder coated Hybrid Epoxy polyester applied electrostatically, and baked until fully cured. 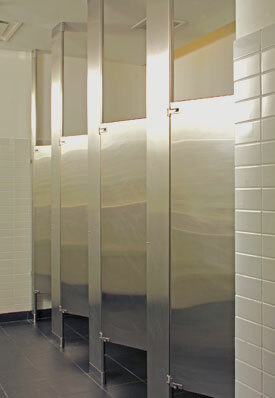 General’s exclusive use of stainless steel polished to a satin finish offers the ultimate in toilet partitions. 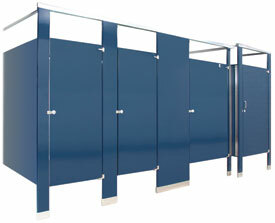 The finish is protected in the manufacturing process and in shipping by a P.V.C. film which is removed at the time of installation. Scratches can be removed, and the original beauty restored by buffing. Also available with a deep textured surface, or powder coated. General’s H.D.P. 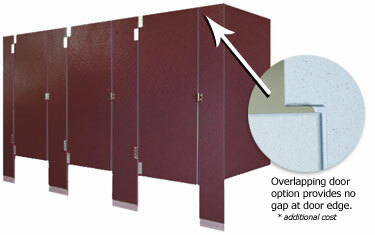 toilet partitions, showers, and dressing compartments are manufactured using high-density polymer resin. Color is solid throughout. Compartments can not rust, rot, delaminate, or absorb odors. Solid Phenolic Core Panels are composed of melamine impregnated decorative surface papers superimposed over a varying number of Kraft phenolic core sheets to achieve a desired thickness, forming a one piece panel which will not delaminate.